Due to the seriousness of renal impairment it is an important condition to study. 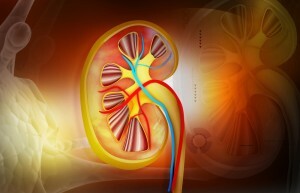 Current renal impairment clinical research is focusing promisingly on several compounds including bardoxolone methyl, olmesartan medoxomil, sulodexide, and avosentan. If you suffer from this disease you should know that there are ongoing renal impairment clinical trials. Perhaps in the future research will lead to advances in early detection. Improved management and renal impairment treatments will hopefully lead to better and longer lives for those suffering from this disease. What is Renal Impairment / Chronic Kidney Disease? Renal impairment in its chronic stages is also known as chronic kidney disease. It occurs when the kidneys don’t filter toxins from the blood like they should. The disease occurs in stages with stage 1 being the most mild and stage 5 most serious. The cause of renal impairment can usually be linked to some other ailment such as cardiovascular disease, diabetes and hypertension. There is no cure for renal impairment and by the time it reaches stage 5 a person’s quality of life is fairly poor. They must receive renal replacement therapy such as dialysis or get a kidney transplant. Renal impairment treatments focus on slowing down the progression of the disease. When possible, it is best to treat the original disease that caused the renal impairment. Prescribing ACE inhibitors or angiotensin II receptorantagonists has been shown to slow progression of the disease. Unfortunately there is no way to stop it completely. Chronic kidney disease treatments like dialysis and kidney transplants can prolong life, but not improve the quality of life. Prognosis is generally not good for those undergoing chronic kidney disease treatments.